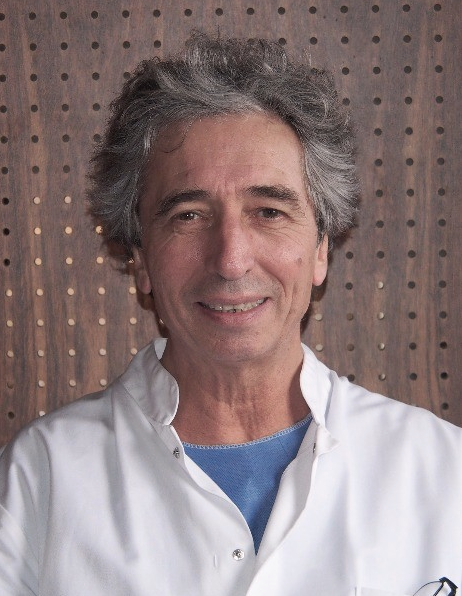 Dr. Piéchaud was born in Bordeaux in 1956 and obtained his medical degree from the University of Bordeaux in 1985, his degree in General Surgery the following year, and his Urological Surgery Specialist degree in 1988. During his career, he has specialised in laparoscopic and robotic surgery for urinary tract tumours in men and women (kidney, adrenal gland and bladder cancers), but also male genital tract tumours (prostate or testicular cancer), and female genitourinary pathologies (prolapse and incontinence). In parallel, he teaches laparoscopic and robotic surgery techniques, and organises practical training courses for urologists as well as training workshops in “surgical gestures”. Dr. Piéchaud is a member of the French Association of Urology (AFU) since 1988 and is responsible for the Robotics Club, a member of the European Association of Urology (EAU) since 1995, and corresponding member of the American Association of Urology (AAU) since 1995. Dr. Piéchaud is also Director of the Urological Surgery courses at IRCAD/EITS (Research Institute against Digestive Cancer/ European Institute of TeleSurgery) in Strasbourg and Taiwan, Chairman of the European Society of Urologic Technology (ESUT) robotic group, designated Professor at the Université Louis Pasteur, Strasbourg, and a court expert. He is the author of numerous scientific publications and communications, participates in French and international congresses and conducts live surgical interventions.